After dreaming for several years and studying rigorously for the last 3 and half months, today I attempted the PMP exam at Prometric center- Mumbai and cleared the exam with "Above Proficient" score in all the areas. I read PMBOK many times , but Rita I read only once, however I did Rita- Chapter End questions many times. iZenbridge came as a major help for me. I saw all the videos once and attempted the chapter end quizzes, assessment tests- area wise and full length mock tests many times- till the time I am able to memorize each and every question. 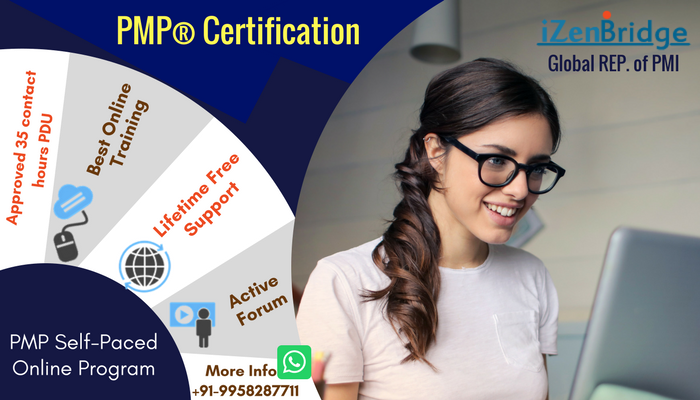 The questions in the PMP exam are application based but if you go through iZenbridge study material, videos and tests , the questions will look very similar as you are well versed with the concepts. My test went well, but getting "Above Proficient" in all areas came as a miracle. Thank you Saket sir for the brilliantly designed program and Jyoti and Seema for being available for any help whenever it was required. From the starting of the program, filling the application, scheduling the test and till before the exam , I received full support.